A view of the Skanderbeg Square, the main square in Tirana, Albania. Albania faces numerous challenges in its journey towards EU integration as opening of the negotiation talks with Brussels hopefully begins next year. Despite the tremendous changes that the country has experienced in the last 27 years since the end of the Hoxha dictatorship, the government and its political elite has been unable to meet the expectations of Albanian citizens. The Albanian economy has been struggling for decades as wealth has increasingly centered around Albania’s elites at a cost to average Albanian families. This economic desperation has forced a significant number of Albanians to move abroad. At least 1/3 of its population has emigrated to the EU and around the world, with nearly 300,000 Albanians fleeing the country in the last 4 years. Due to this mass exodus, the Albanian economy for many years has been dependent mainly on remittances of migrant Albanians in Europe and beyond. However, this source of financing for domestic consumption and private investments has recently faded away. 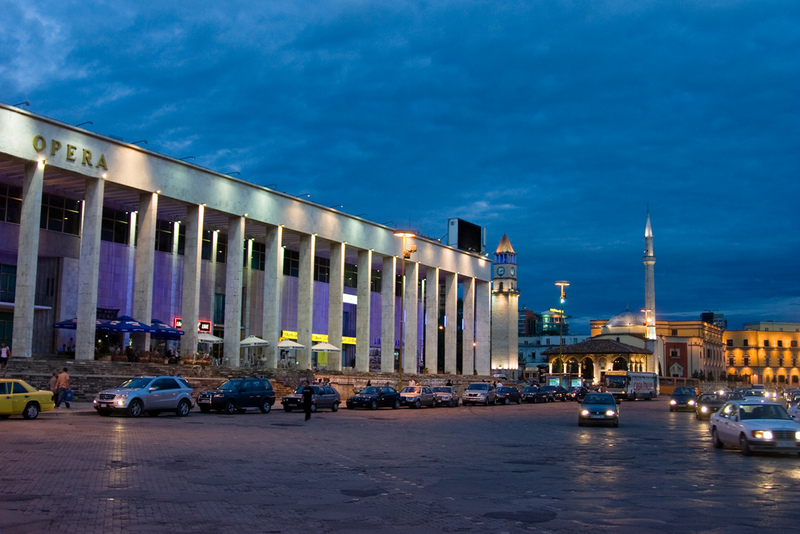 Further complicating Albania’s economic situation is the struggle to attract Foreign Direct Investment, largely due to the inability to set up an economic model with proper fiscal and legal framework to attract strategic foreign investors. This is the ultimate challenge Albania faces – to revise the exodus of Albanians from the country and create a “small Europe” in Albania that turns this “brain drain” into “brain gain” while bringing FDI into the country for further development. Albania has a tremendous amount to offer. However, it is a pity that most Europeans know very little about our beautiful country and media headlines sensationalize negative stories about organized crime and drug trafficking. Albania has many individual success stories of Albanians writing their own page of history in different paths of life in the receiving countries, from politics to art and sports. Leading one of the main opposition Parties in Albania, the Socialist Movement for Integration, is quite a daunting challenge not just for me personally, but mostly to address the many hurdles our country face, particularly among young Albanians. There is an urgent need to create a new brand of politics, one that moves away from internal political conflicts and focuses on the challenges and opportunities that Albania will face in its quest for EU integration. Our public policies need to have a clear vision, strategy, and nationwide consensus to address major economic issues, youth employment, women empowerment, contemporary education, and universal healthcare for all Albanians. It is the youth of Albania that provide my inspiration. I have seen scores of energized youngsters that want to get involved with politics to bring change and modernization to our society. In this new globalized world, the real winners are those that adapt fast and embrace a political narrative of change. Albania is still one the youngest population in Europe with an average of 31 years old, but soon we may join “the club of fast aging” developed countries. That is yet another reason why we need our new generation to build their future in Albania and not elsewhere. Stability should not be taken for granted in this dynamic world and more importantly, should not be considered a substitute for inclusive economic growth and development. Europe is facing new challenges largely due to mismatch of political rhetoric and actual results that meet the expectations of people. Obviously global challenges and problems need global solutions. The Berlin Process for the Western Balkans, led by the strong will of Chancellor Merkel, is an encouraging sign that Brussels firmly supports the EU membership of all the countries in the region, including Albania. Nevertheless, we are aware that we have to pass the test and do “our homework” first and foremost for the sake of our people. In practice, that means fostering good governance that accelerates the “reform agenda” to strengthen the rule of law, to fully and impartially implement the new justice reform, to fight corruption and organized crime, to reduce poverty and inequality, to significantly improve the business climate to attract FDI so that we have more investments, more jobs for youth, and a higher participation of women in labor market. Nowadays, I believe we are facing an existential issue: all young Albanians have their personal choice to stay in Albania and help build our country or leave Albania in pursuit of a better life. It is mainly up to us, as politicians, whether we are capable to give clear and solid direction and motivation to our youth’s expectations today, so that we can build our country together, within a short period of time, to create a better and more prosperous Albania. Monika Kryemadhi, is the Chairwoman of Socialist Movement for Integration Party since July 5th 2017. Is one of Albania’s most prominent politicians and the first ever female leader of any political party in Albania.